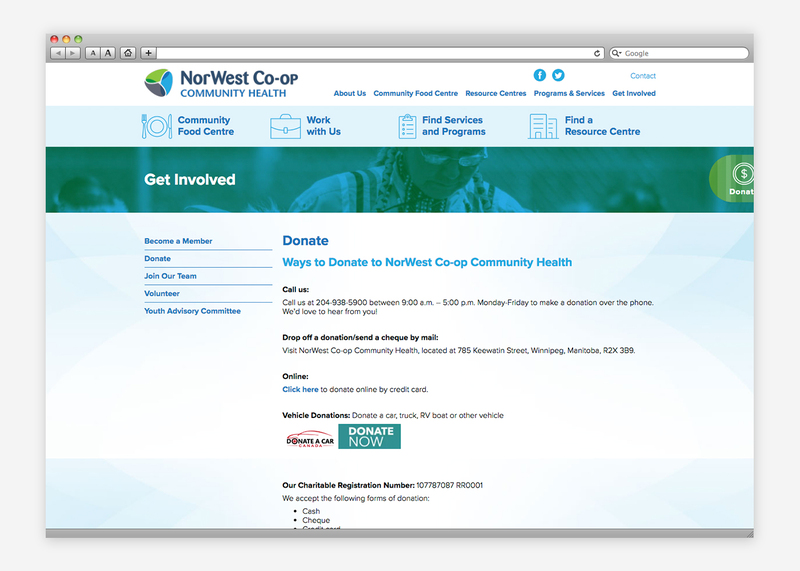 NorWest Co-op Community Health is the only healthcare co-operative in Manitoba. 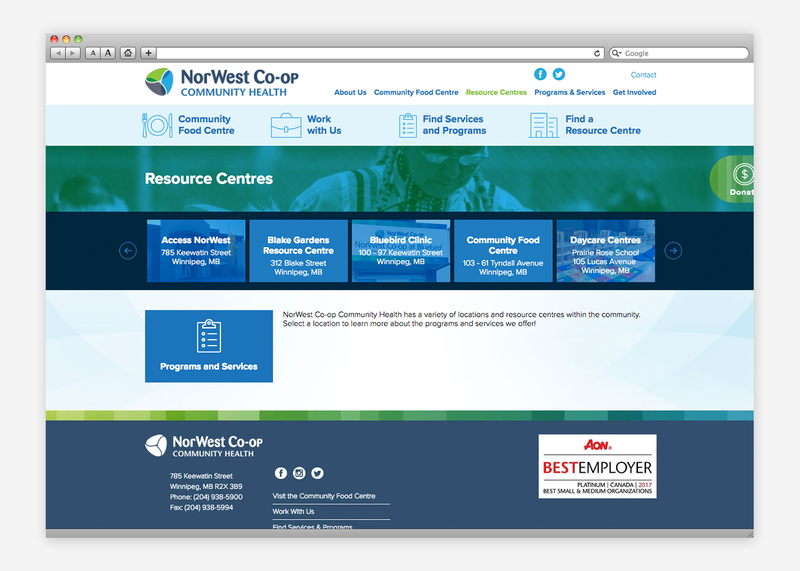 Based on the values of respect, innovation and cooperation, NorWest engages the community in health and wellness and provides services and programming in primary health care, community development, counselling and support services and early learning and childcare. 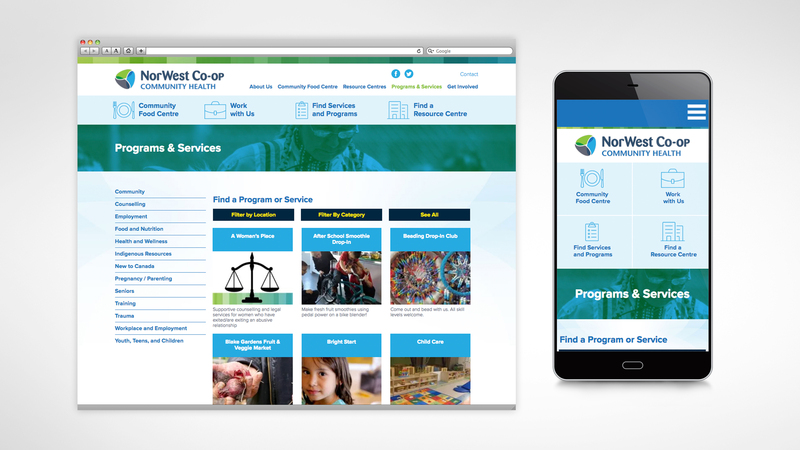 Other areas of focus include family violence, immigrant and refugee matters, substance abuse during pregnancy, nursing foot care and Indigenous issues. 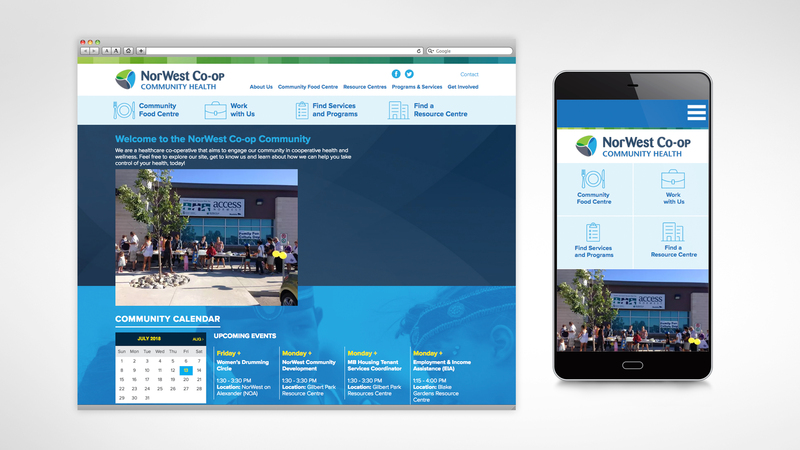 The Relish development team worked with NorWest Co-op to create a community-based, responsive website. 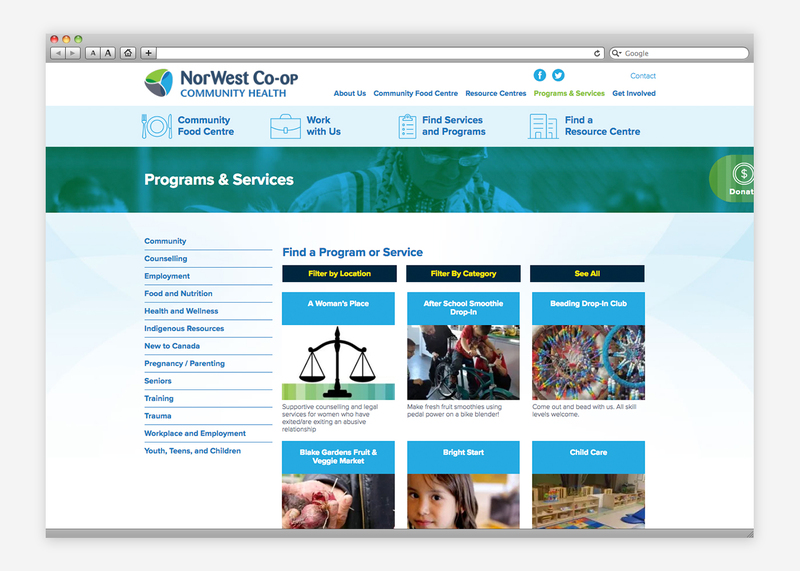 The intention of the website was to better communicate the programs and service offered by the Co-op, from seniors programming to newcomer supports, with searchable database incorporated to help the community find the right programs and services for them. 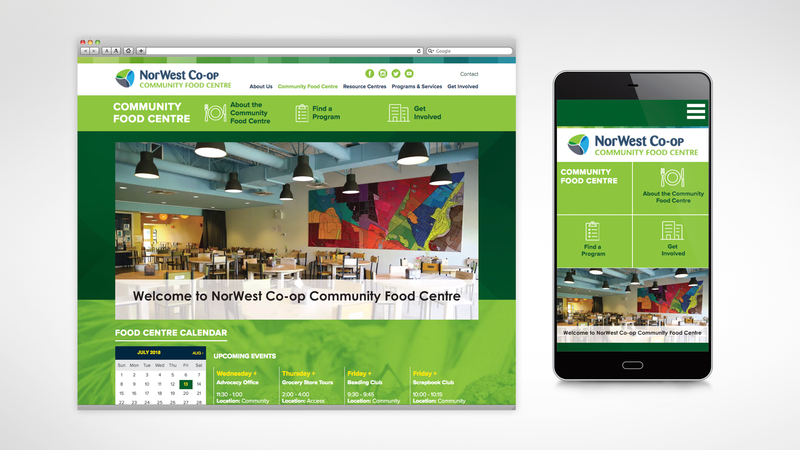 The site also represents NorWest’s Community Food Centre which is a vital part of the community. 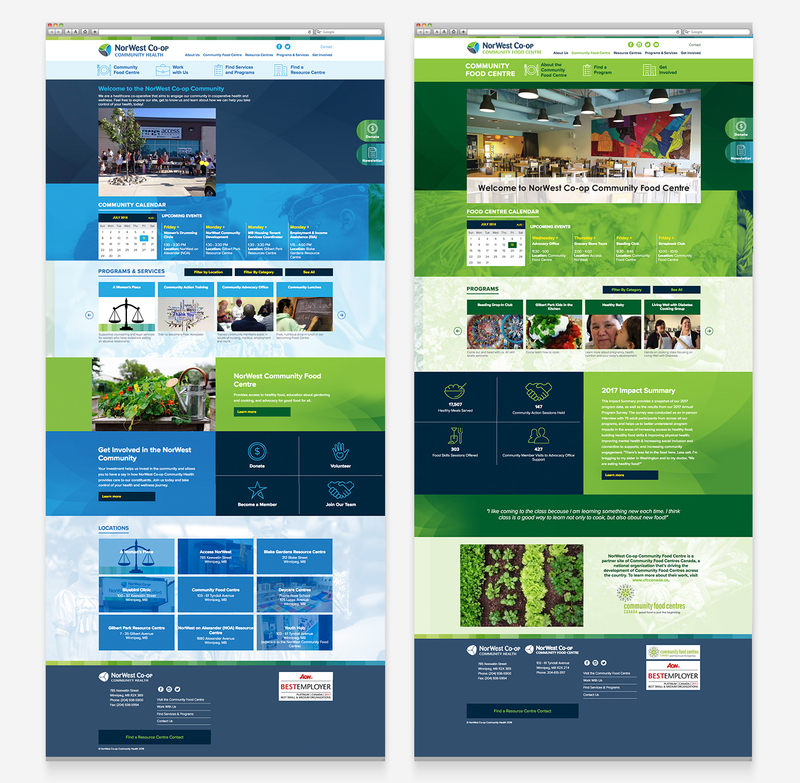 The Food Centre has its own programming and functions largely on volunteer support.